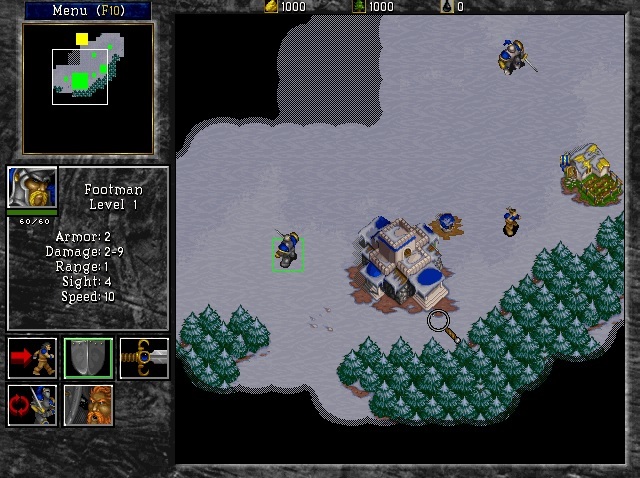 We now move on to another classic game of the 1990s: Warcraft II: Tides of Darkness. While I never got into Warcraft II as much as I did Command & Conquer (I was more a fan of sci-fi over fantasy) nor its soundtrack (again, more a fan of Frank Klepacki's industrial rock over orchestral MIDIs), there are some stand out tracks on the Warcraft II soundtrack that have been etched into my memory. Take the track simply titled "Human 1"; as soon as you hear the first few bars you're already transported back to Azeroth in the days before World of Warcraft or even Warcraft III. In fact, the track is quite popular amongst remixers and cover artists so you're bound to find a modern take on this classic tune somewhere on the interwebs. Most of the track sounds like the humans are begrudgingly marching towards their doom. Around 1:26 there's a dramtic, panic-stricken build-up before the start of a heroic passage at 1:45. If you're interested in downloading the Warcraft II soundtrack (that was originally available off Fileplanet), you can get it on the Free VGM repository.